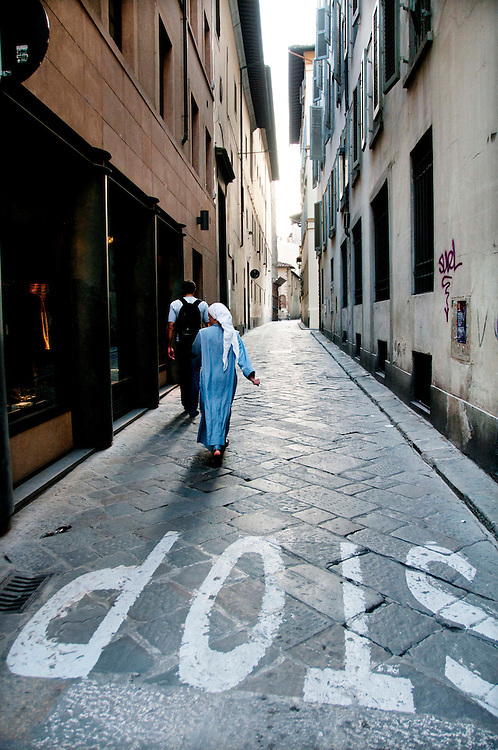 A Caucasian man and a Muslim woman walking on Via De Ramaglianti, a small, stone street in an alley way in Florence, Italy. The word stop is written on the street. The woman is wearing traditional Muslim hijab, a white head scarf and a blue, dress that goes to her ankles.